Have you noticed a recent uptick in your utility bills, even though your furnace does not seem to be working any more than usual? Perhaps you hear a strange, almost banging noise when the heat kicks on or the vents appear to rattle as the heat pumps through your home. Regardless of the situation, the signs point to a problem with your furnace. When there is an issue with your heating furnace it can prove rather difficult to know for sure what exactly is going on, and it might just be a slight problem, or it could potentially prove a huge and even dangerous issue you need to resolve as quickly as possible. No matter how bad the situation is, how long your utility bill has increased or when the banging from the furnace started, it is necessary to bring in the professionals from Precision Air Services: a Heating and Cooling Company. Unless you have technical knowledge and experience with furnace repair, identifying the problem may prove rather difficult. Typically, unless there is an exposed element openly rattling away, you probably are not able to locate the issue of the furnace. Thankfully, the initial inspection brings in a licensed and insured professional to look over the furnace and determine what the problem is. The initial inspection is done not only to identify the issue, but also to explain what is causing the problem, the available corrective options and how much it might cost you. With this information, you can decide whether or not it is better to replace the furnace completely or have it repaired. There is no need to replace it if the problem is minor and the cost is low. However, should the inspector indicate the potential of further problems occurring shortly, there is no reason for you to spend hundreds of dollars (if not thousands), simply to bring in the furnace repair specialists a few months later to correct the same furnace. With the helpful assistance of the trained and certified professional, you can make the best decision for all of your service needs. 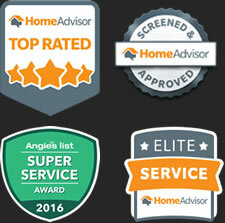 Typically, most homeowners might not think of the furnace unless problem arrises. After all, out of sight, out of mind. However, this is what leads to problems that should be avoided and corrected. 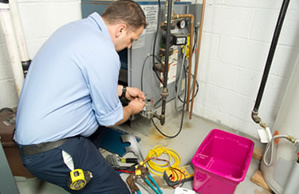 General maintenance is essential to extending the life of your furnace and keeping possible repair costs down. By bringing in the trained professionals to your home, the licensed individuals can inspect the unit, make minor adjustments and clean out the unit as well. This way, you’ll maintain the best functioning furnace possible, all without worrying about it breaking down in the future. Your furnace is an essential comfort zone inside your home, and while you might not think about it unless you run into an issue, it is always important to bring in trained professionals to maintain, inspect and service it. This is why you need to contact Precision Air Services for all your needs.